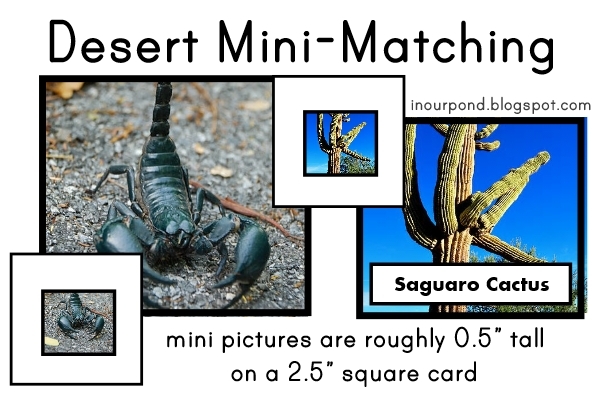 The big squares can be found with my American Desert Animal Toob Matching Game. The second set can be downloaded for free here. Both sets go with the Safari Ltd American Desert Toob.